The clock is ticking to the start of The Performance Car Show fires up at the Birmingham NEC next week (16th – 17th January). The Performance car show 2016 is playing host to a bevy of the world’s rarest and most exclusive hyper cars, super supercars and several launches of brand new lightweight sportscars. So whether you have booked your tickets or not, read on, here is a round-up of some of the cars you won’t want to miss at Performance Car Show 2016 and where to find them (and if you haven’t booked tickets yet, see the car events calendar and find out how you can). First up the Jaguar C-X75, a car that started out as a concept but starred as the wheels of villain ‘Hinx’ in the James Bond blockbuster SPECTRE last year. 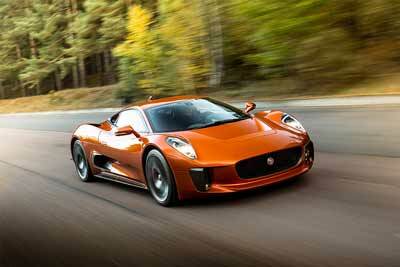 Visitors to Autosport International will be able to get close to not one, but two Jaguar C-X75s. The first will be entertaining crowds in the Live Action Arena, while the second car is on static display at the Williams F1 motorhome as part of Williams Advanced Engineering’s display. The Aston Martin Vulcan is an ultra-exclusive, track-only supercar from the iconic British luxury sportscar manufacturer. With just 24 examples set for production and each super car commanding a price tag of £1,800,000, the Performance Car Show 2016 may prove one of the best opportunities to see this rare Aston Martin. Don’t miss the Aston Martin Vulcan on Autocar’s stand (19010). 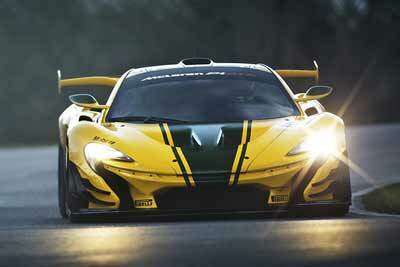 The McLaren P1 GTR is a track-only version of McLaren’s P1 hyper car and also the most powerful McLaren of all time. Boasting a power-to-weight ratio of 687bhp per tonne, costing nearly £2,000,000 and offering a colossal 986bhp thanks to its cutting-edge hybrid-V8 powertrain. You can see this ultra exclusive hypercar on the Gibson Motorsport stand (7630) in Hall 7. The mid-engined 562bhp 570S is the latest model from McLaren Automotive and the first car to emerge in McLaren’s ‘Sports Series’ and currently the lowest rung upon the McLaren ownership ladder. However, bottom of the price list doesn’t mean entry-level pace. 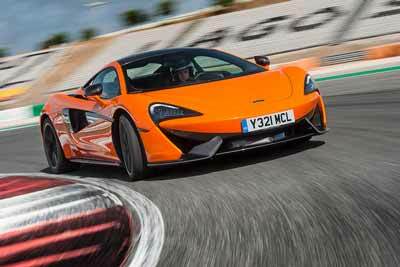 The 570S sprints from 0-60mph in just 3.1sec, from 0-124mph in just 6.5sec and on to a top speed of 204mph. Visitors to Sportscarhire’s stand (19332 in Hall 19) will not only be able to see the McLaren 570S up close (as the Midlands-based firm is the first hire company in the country to have a McLaren 570S on their fleet fleet) but better still, enter their raffle and be in with a chance of driving their 570S yourself. The Performance Car Show hosts the public debut of the Zenos E10 R, a road-legal, 500bhp/tonne, British-built sports car that looks like being a real hit with trackday enthusiasts. Zenos have had a busy time launching the E10 and E10 S sports cars and the E10 R shows that the Norfolk based firm are showing few signs of letting that slip in 2016. The E10 R sits at the top of the range (for now anyway), boasting 350bhp from its Ford Ecoboost engine. Enough to propel the 700kg E10 R from 0-60 in 3 seconds and on to a top speed of 155mph. You can find the E10 R on Zenos cars stand (19320). 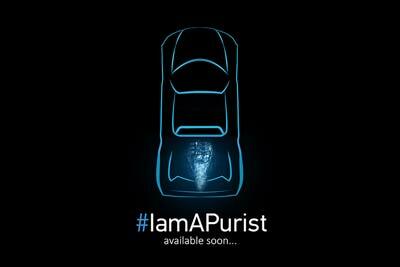 Autosport International 2016 hosts the worldwide launch of new British mid-engined sports car, the Avatar. 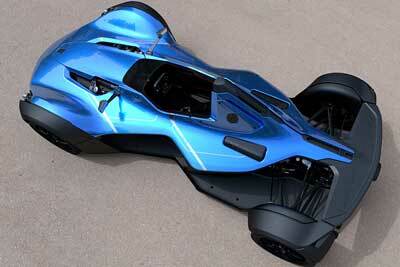 Avatar claim their new composite body-panelled car is just 700kg, lighter than a Lotus Elise. The base model boasts 250hp from its 2.0-litre Ford Ecoboost engine, giving it a power-to-weight ratio of 333bhp per tonne. There’s also a version available with the 2.3-litre, 350bhp engine from the new Ford Focus RS. It seems the Autosport International launch is not by chance as the Avatar is aimed at serious drivers. The engine has been mounted longitudinally to provide better balance and a lack of driver aids aims for a driving experience that’s pure, authentic and potentially adrenaline-fuelled. Head to Stand 19215 in The Performance Car Show to see the new Avatar in the metal. BAC will have their 2016 Model Year Mono at the show. Featuring an all-new 2.5-litre Mountune four-cylinder engine producing 305bhp. A power hike of 25bhp from the previous 2.3-litre Cosworth engine. The revised 2016 BAC Mono car weighs in at just 580kg giving an incredible 526bhp per tonne and also includes a drive-by-wire throttle as well as a bespoke driver fitment culminating in a custom steering wheel and seat tailor-made for the owner. 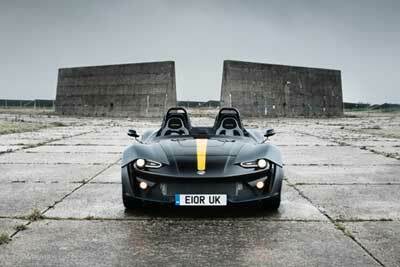 You can find the advanced Mono sportscar on BAC’s stand 19110. 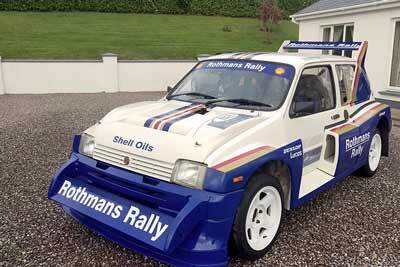 This Metro 6R4 is headlining a sale of over 60 rare and collectable road and racing cars going under the hammer with Coys live at Autosport International. This particular car is one of the lowest mileage examples around (just 3,100 miles since 1985) and in pristine condition as it it was the original Rothmans show car and so has never been raced or rallied.